The authors review preoperative, intraoperative, and postoperative processes in managing LLD in total hip arthroplasty patients. 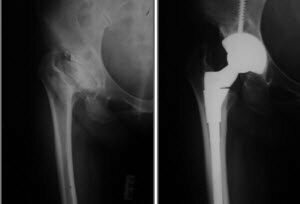 From the patient’s perspective, the most basic goals of total hip arthroplasty (THA) are pain relief and restored mobility and function . From the surgeon’s perspective, the goals are well-fixed components, dynamic stability, and restored leg length. These goals are not mutually exclusive, but they do point to the differences in expectations of the final result of THA: Surgeons are primarily concerned with the functioning of the reconstructed hip, while patients are primarily concerned with being able to do the things they want to do in their daily lives. Because LLD is often part of the patient’s preoperative presentation, and because LLD is often a source of dissatisfaction, what do the surgeon do to manage LLD in THA patients? Begin by understanding that all LLDs are not the same. True LLD is due to hip damage (Figure 1). Apparent LLD is sometimes due to hip contracture (Figure 2). 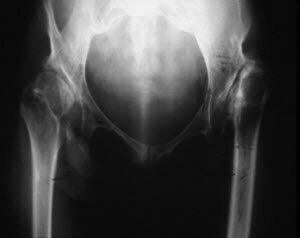 Apparent LLD is sometimes not due to hip damage or contracture (Figure 3). Figure 1. Pre-existing true LLD (left to right) due to DDH, previous surgeries SCFE, and trauma. Figure 2. 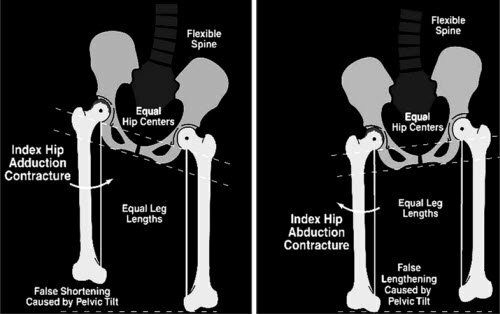 LLD (shortening) due to index hip adduction contracture and LLD (lengthening) due to index hip abduction contracture. Figure 3. LLD not due to index hip contracture or damage, etiology is extra-articular. Next, conduct a thorough preoperative consultation and assessment of LLD. During the preoperative consultation, educate the patient regarding the goals of THA (stability over LLD) and the possible complications of THA, including LLD (Figure 4). Figure 4. Properly implanted THA. Has the patient ever had DDH? SCFE? Polio? Perthes Disease? Were there any previous surgeries? Trauma? Fractures? Are there any co-morbidities contributing to LLD? Key question: Do your legs feel equal? Figure 5. Example of the block test, allowing LLD to be quantified objectively. Intra- versus extra-articular etiology: Is the pre-existing LLD…? Figure 8. Status post-hip fusion. Figure 10. Status post polio syndrome (significant residual LLD). Figure 11. A/P pelvis includes both hips and proximal femurs. Figure 13. Varus femoral neck-shaft angle (left) and valgus femoral neck-shaft angle (right). Figure 14. Preoperative acetabular deficiencies (left) and postoperative correction of same deficiencies (right). Figure 15. Preoperative metaphyseal geometry (left) and postoperative correction (right). Figure 16. Preoperative diaphyseal geometry (left) and postoperative correction. Surgical planning requires familiarity with multiple THA systems and the options available to the surgeon. 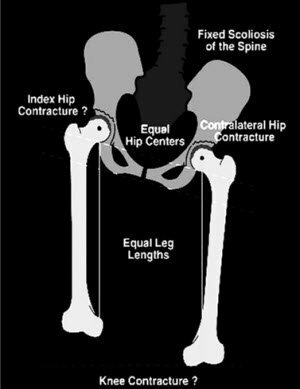 The questions below will help you determine which hip implant system best suits each particular patient. 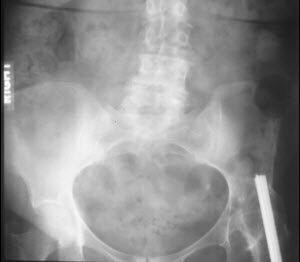 In addition, look for existing metaphyseal/diaphyseal/anteversion mismatch, for acetabular dysplasia, and for other changes in hip anatomy due to previous surgery or trauma. Acetabular component choice presents a wide variety of questions. Should you use cemented or cementless fixation? 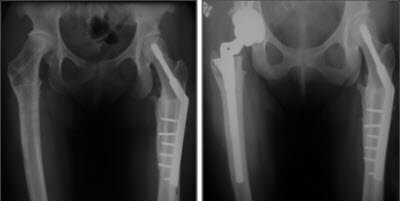 If you chose cementless fixation is that with or without screw supplementation? Do you choose to use a lateralizing acetabular liner? Is the acetabular shell hemispherical or is it oblong in shape? Does this THA require augments or cages? Is the patient’s anatomy such that the best solution is a custom acetabular component? 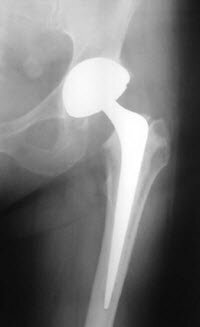 Is this patient best served with a cemented or cementless femoral stem? If cementless fixation is the best option, then which cementless configuration: proximally coated, distally coated, modular, tapered wedge, or tapered bi-planer? What offset/neck angle should you choose? 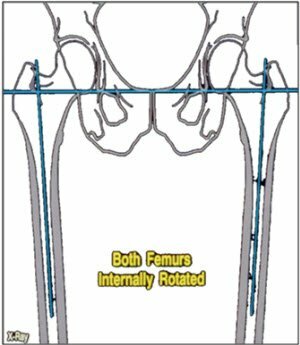 And how does the patient’s anteversion play into the femoral component choice? Intraoperative assessment of LLD allows an opportunity for correction and correlation with stability testing. 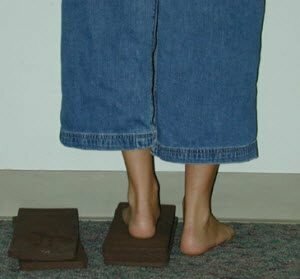 The tests, tools, and tricks listed below provide real-time feedback that allows the surgeon to quantify the THA construct and determine if the preoperative goals for leg-length and stability are being met. There is still work during the postoperative period. The patient needs continuing education regarding LLD; for example, the patient needs to understand typically how long the perception or sensation of LLD persists (that it diminishes over time). Also, the patient may need to be reminded that the primary goal is stability (avoidance of dislocation). Physical therapy is a crucial part of a successful return to function after THA. It allows for strengthening and is also a opportunity to address pelvic obliquity (if possible). Communicate with the physical therapist regarding how to discuss LLD with the patient – if the patient hears and sees the same phrases repeatedly, it will help with learning and comprehension. Joseph T. Moskal, MD, FACS, is chief of orthopaedics for Carilion Clinic, Roanoke, Virginia. Susan G. Capps, PhD, is an independent consultant specializing in medical devices, BENSOL, Warsaw, Indiana. Previous articleIs Minimally Invasive Surgery Better than Conventional Total Knee Arthroplasty?